"Fantastic option should be coming off a global ESP "
Personable with a 'no problem is too big' approach. They cannot solve all of your problems yet they know how to LISTEN. Straight from implementation to live and each month, they continually allow you to deliver your KPIs and mine your database to yield the right message to the right customer. Seriously consider the value of staying with your existing ESP. If it is just because you've been with them for x years, start looking. 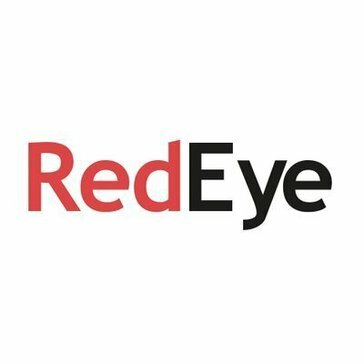 RedEye makes the complex simple and helps onboard many users from marketing to customer service. ESPs make their money within the first year of on boarding you. If you do not double your revenue within a 2 year period with the ESP, you do not have the right account support. The fact that not all ESPs need to be enterprise, a logic RedEye understands. We are not a massive business yet need more than Mailchimp. Simple and agile ways of scaling marketing automation is what RedEye does with ease. * We monitor all RedEye Contour reviews to prevent fraudulent reviews and keep review quality high. We do not post reviews by company employees or direct competitors. Validated reviews require the user to submit a screenshot of the product containing their user ID, in order to verify a user is an actual user of the product. Hi there! Are you looking to implement a solution like RedEye Contour?